We have many people asking us about Jean Dodd’s Vaccine Protocols for their pet and how to minimize the vaccines that their pet gets or needs. Many puppy breeders recommend and adhere to these vaccine protocols. At Williston Park Animal Hospital we are fans of Jean Dodd’s Vaccine Protocols and giving your puppy or kitten the minimum number of vaccines, and the right type of vaccine, as long as it is acceptable for their exposure and risk level. But, first of all you may be wondering – Who is Jean Dodds? Dr. Jean Dodds is considered to be one of the foremost experts in pet healthcare and is founder of hemopet.org. Her expertise focuses on pet vaccinations, nutrition and thyroid health. Her vaccine protocols recommend minimum vaccines for puppies and kittens based on their risk. Risk factors include contact with other pets such as in a grooming facility, in a pet store, in a training class, being boarded, or even in your own living situation where your pet could potentially be exposed to kennel cough (bordatella) or influenza. Other risk factors also include exposure, which means taking your pet to a park , hiking or in any areas where there is wildlife – including raccoons, opossums, rodents and deer present, which would increase your pet’s risk for contracting lyme disease or leptospirosis. If your pet is not exposed to any of these situations it means less vaccines for your pet. 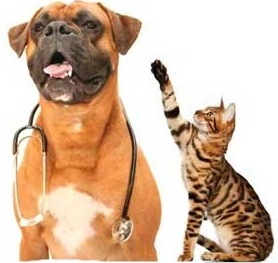 We will discuss your pet’s risks and exposure level with you to assess their risk level. If your pet is not at risk we recommend giving the core vaccines only, which is the basis of Jean Dodd’s vaccine protocol. What is Jean Dodd’s Vaccine Protocol? Perform vaccine antibody titers for distemper and parvovirus every three years thereafter, or more often, if desired. Vaccinate for rabies virus according to the law, except where circumstances indicate that a written waiver needs to be obtained from the primary care veterinarian. In that case, a rabies antibody titer can also be performed to accompany the waiver request. See the Rabies Challenge Fundwebsite. Vaccine titers are a blood test that test to see if your pet has antibodies to protect him or her against the diseases for which they were vaccinated. It costs a little more than the vaccines, but is an option for your pet instead of receiving a vaccination. Titers are available for several vaccines, including distemper and parvo virus. At Williston Park Animal Hospital we offer the Jean Dodd’s minimal vaccine protocol and we carry the recommended Merk Nobivac DPV vaccine as well as the Merial Imrab TF Thimerisol Free vaccines for dogs and the Merial Purevax FVRCP & Rabies vaccines for cats. We believe in a minimal vaccine protocol for our own pets and also recommend it for the best health of your pet .